Learn how to insert a Picture into a Cell in Excel? 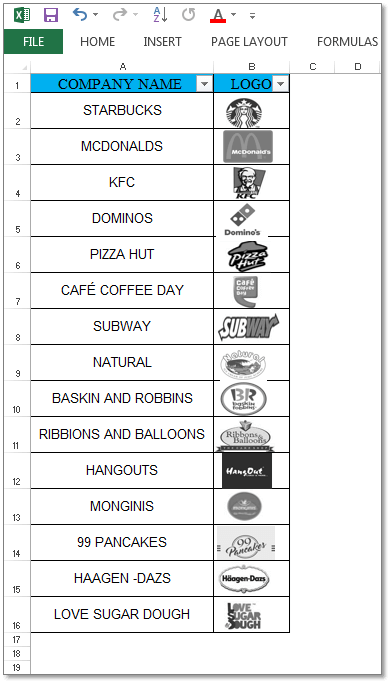 Supposedly, you wish to fit in the logos of the Companies in your Excel Sheet. How are you going to do this? 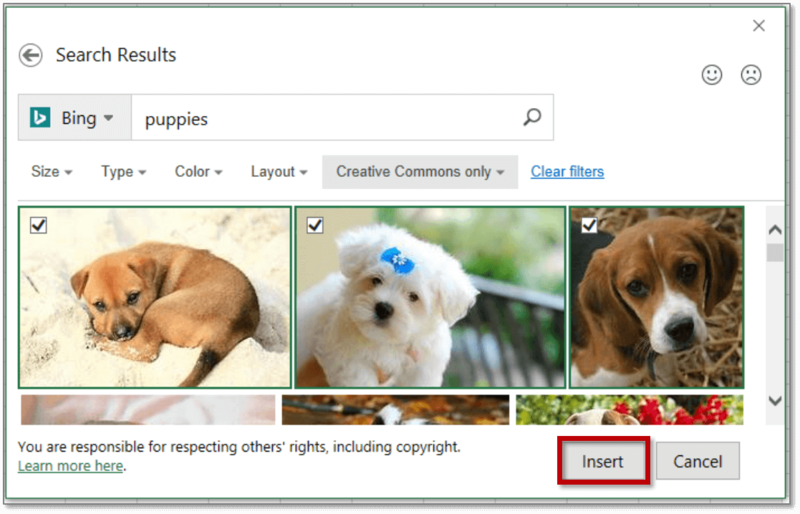 You need to know, how to insert a Picture into a Cell in Excel. To show pictures in the adjacent Cell or any other cell, instructed in a column you must know how to insert an image in Excel Cell. Now imagine, you’ve written the name of the Companies and you wish to add its logo in the adjacent cell. When the logo is added in the cell adjacent to its name. This is to be locked in a way that when you resize the cell, the logo should also resize. You even want to filter the Logos as and when you filter the name of the Companies. If you want to be a master at Excel VBA Programming language for Excel 2007, then our Excel VBA macros tutorials will make it easier for you to access it in applications such as Microsoft Office. 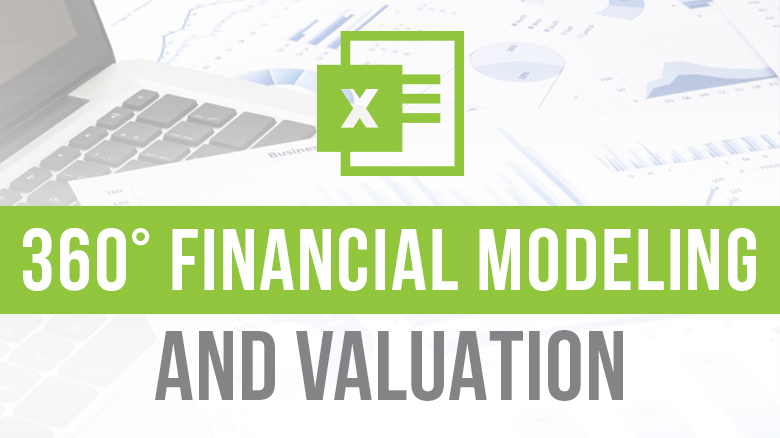 Come create your own Macros and rule in excel. How can you Insert and filter the picture in Excel? Steps to Insert a Picture into a Cell in Excel? How to select several images in Excel? How to Lock image in Excel Cell? 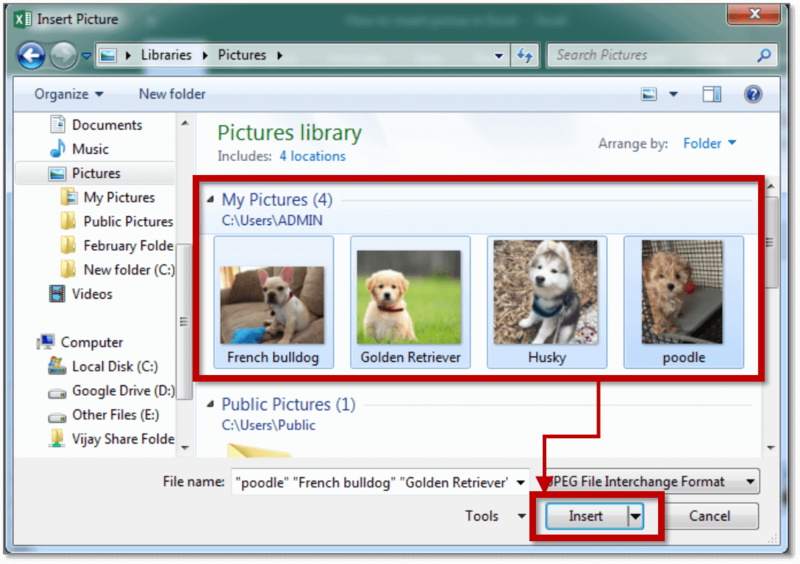 It is easy to insert a picture into Excel in a way that it allows you to move, resize and filter the Cell. As you do this the picture will automatically move. Well, here you can see the logos of the Popular Companies. Dominos, Starbucks, Pizza Hut etc. Now, whenever you’ll be applying filter to these cells the logos will automatically get filtered. This tutorial will be very helpful for you if your task is centered on with Products/SKUs and the images. Problem: You’ll get stuck once you add an image in Excel. This image isn’t linked to the cells and wouldn’t move, hide, filter or resize with the cells. 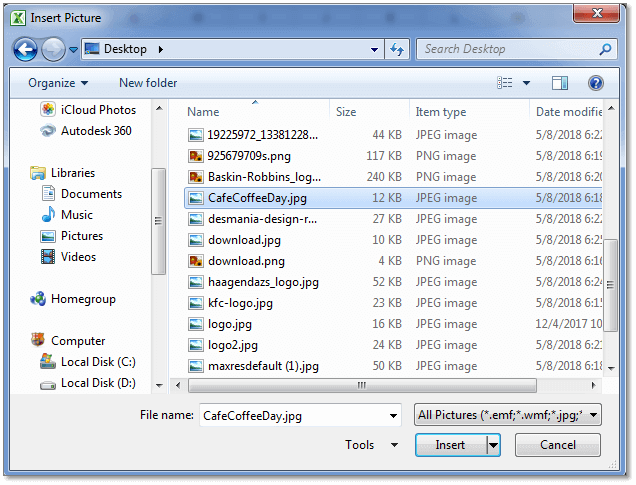 Solution: This tutorial will show you How to move, hide, filter and resize an image in Excel’. Second step, lock the Picture in the cell so it becomes easy for it to move, resize, and filter along with the cells. Place the picture in the cell. Important: There is an interesting way to do this. Press the ALT key, drag and move the picture with the mouse. When the Picture will come close to the Border, it will automatically snap and arrange itself. Select few images and in one click you’ll find them on your Excel Sheet. Note: While you insert images from Online make sure that the images are not having the Copyright and you can use these images legally. You can even select Multiple images at once. You just have to select and enter all the images at once. Select and drag the edges to resize the images. To keep the ratio of the images intact, use the corner of the images to resize it. When you want to insert a logo or any product image, it is advisable to keep the aspect ratio of the image. If an image is added in a cell, following the above-mentioned steps. The image will not stick into the cell, the size of the image will not change when you resize the cell. Also, you won’t be able to apply Filter or hide the cells. If you want your picture to stick to a cell, you must Lock the Image in the Cell it is placed in. If you wish to select several images in Excel at a time, Press and hold the ctrl key while selecting Pictures. And then, Click Insert. 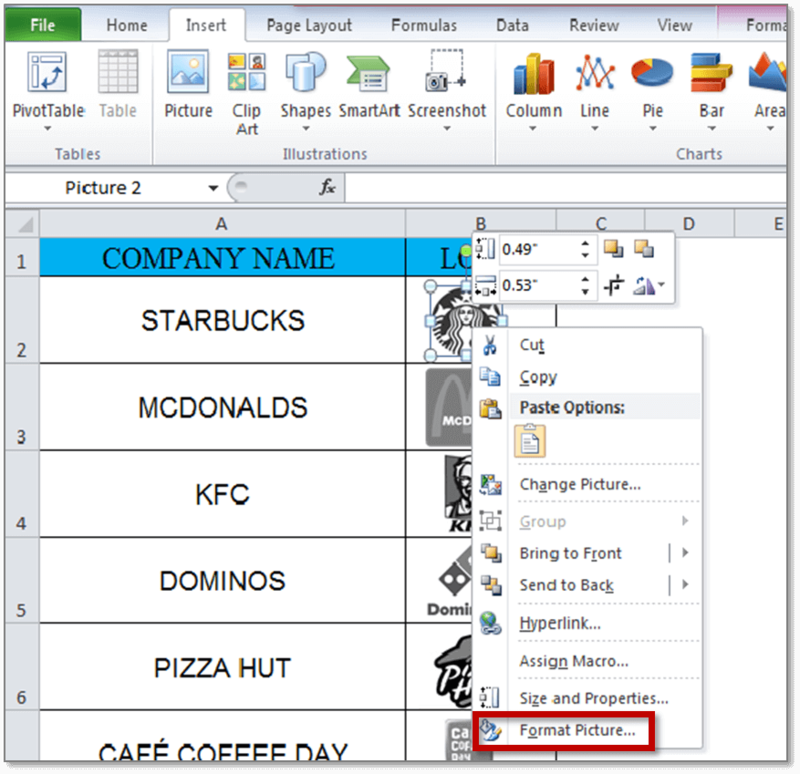 Learning how to lock the image in Excel Cell is very important when you’re done inserting an image in Excel Cell. 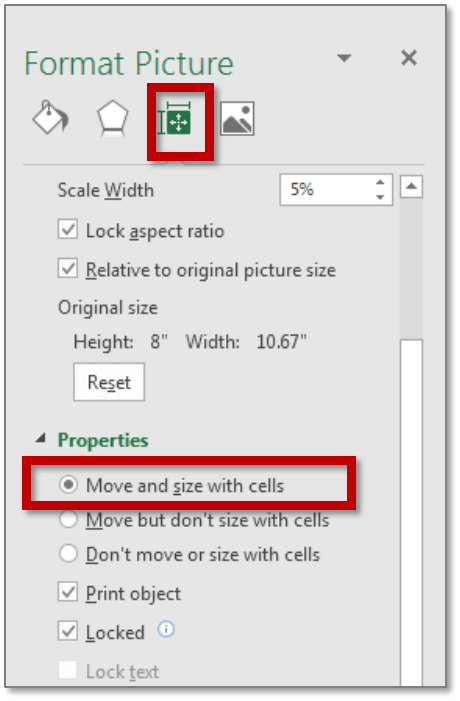 After inserting an image into the Worksheet, resize it in a way it fits within a cell. Now, place the resized image in the cell. Lock the cell to ensure that it moves, filters and hides within the Cell. Select Size & Properties in the Format Picture Pane. From the Options available in Properties, select ‘Move and size with cells’. You’re good to go now. Note: Learning how to lock the image in Excel Cell is a very important step. If you don’t lock the picture in an Excel Cell then when you’ll try to hover or drag over your image its size will change. Excel will resize the image and your Excel Sheet will look distorted. With this tutorial, you’ll be able to insert an image in Excel Automatically. You’ll be able to Move Cells, filter it, hide it and the picture will automatically move/filter/hide. Also, you’ll be able to insert an image in Excel Automatically. Wish to Download the Example File? Do it now. This is one of the most helpful tricks when you’ve got a list of products, backed up with their images. You wish to filter and arrange these Categories by their names and along with their Product images. The same trick can be applied while you’re working on Creating effective Dashboards. Uploaded an amazing blog on degree symbol in Excel last week. Don’t give it a miss. 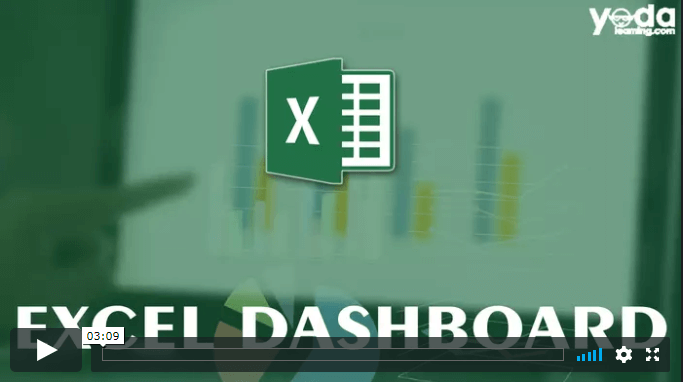 Automate everything that you do in Excel with Excel VBA and Macros. 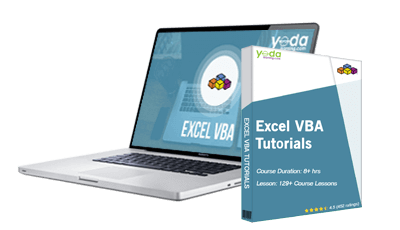 Learn step by step Coding with our Excel VBA Course which gives you a Complete Beginners to Advanced level guide. From recording and running macros to using Loops and creating User-defined Functions. 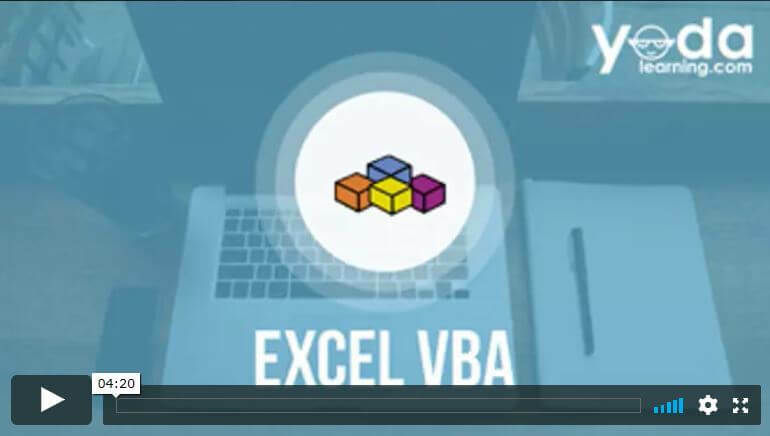 Take the best VBA Course and get started now. We offer instructional videos, practice files, and a personalized learning dashboard that empower an individual to master use cases of the software at their own pace anytime anywhere. We work with 20+ industry experts who double up as award-winning instructors for our courses.